Bluetooth. Huge trunk. Great gas mileage. I love the comfort of the car. Has lots of legroom for back people. The trunk is huge and has enough room for everything. I really like the gas miles it is wonderful and have not had any problems with the car. I get like 500 miles per full tank. The Bluetooth feature is really nice I can play the music that I like as well as take care of any calls that I have had coming in. I would like if the passenger set would adjust. It does not move up or down just forward and backward and my mom who is only 5'4 cant see over the dashboard if she is riding. This vehicle has been the best I've ever owned. Few if any repairs (light bulbs or a belt). It has a few bells and whistles that were new to the industry when we first purchased the vehicle that have now become standard like Onstar and GPS maps to find an address. I was very lucky to get this vehicle when we did. My only complaint is the clear coat finish is starting to peel on the front bumper. That not all SUV are just for moms! 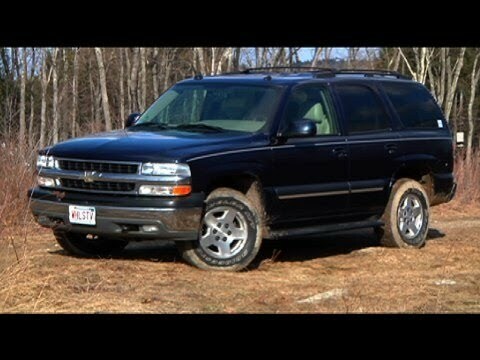 Well my Tahoe is my only ride, it has 266k miles on it, has original motor and trans! I have changed the water pump a handful of times! It does have a clean title! I do the oil change every 3000 miles so the motor will not knock! Since it is lifted the ride is not the smoothest! I had to cancel the back heater cores because they had gone bad!